AGILE MANAGEMENT - CSD CERTIFICATION IN MONTREAL Montreal, also known as ?City of Mary? is the most populous municipality in the Canadian province of Quebec. It is the best city to pursue higher education since it is tagged as a global leader in language training. What is the course all about? With various degree-awarding institutions, Montreal is among the few cities in North America which has the utmost concentration of learning centres. KnowledgeHut is offering Certified Scrum Developer training in Montreal that will also help students gain the skills necessary to succeed in this competitive environment. 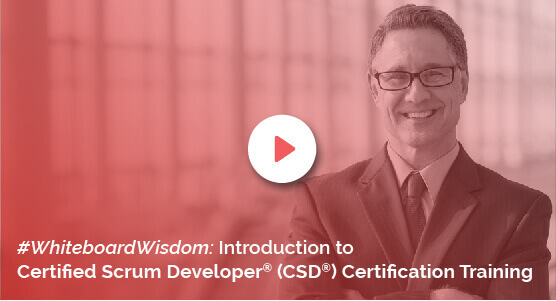 The comprehensive course in Certified Scrum Developer certification in Montreal helps you earn the Certified Scrum Developer credential that can give you an edge over others. Benefits of the course: CSD training in Montreal provide classroom, onsite and online lectures and practice sessions that will help you grasp the knowledge in a clear and practical way. The CSD course in Montreal is tutored by trainers are highly qualified and certified instructors with decades of experience in delivering classroom training concerning the principles of scrum that can be applied to the agile environment. The Certified Scrum Developer certification course fee with the certification examination fee comes as an affordable option for students and professionals to make the most of. The KnowledgeHut Way: The Certified Scrum Developer training course in Montreal is imparted to students through study materials, workshops, lectures and demos. Those who want to ensure a good carrier in scrum should enrol for the CSD certification course in Montreal. This way, the CSD training in Montreal will become a small investment for a bright future ahead.